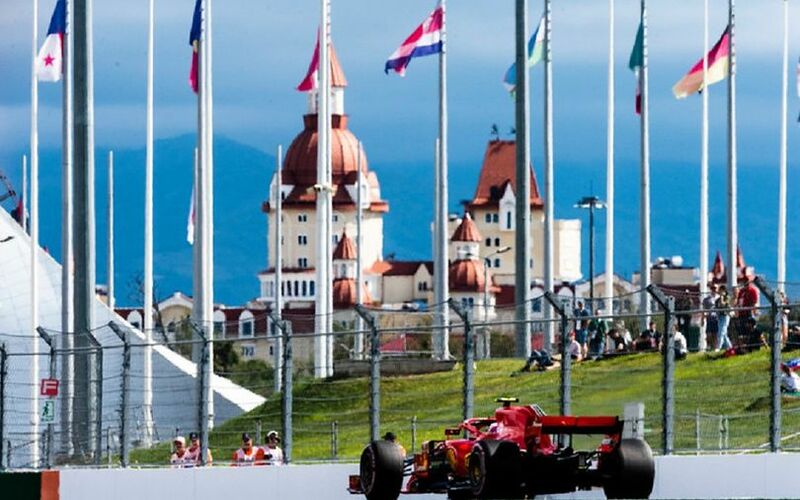 For this weekend, the 10 teams and 20 drivers gathered together in Sochi, Russia which plays host to the Round 16 of the 2018 Formula One World Championship. While the Russian Grand Prix took place as the fourth round last year, the venue became part of the closing stage of the season in 2018. Sochi Autodrom, located on the Black Sea coast is the first purpose-built Formula One facility in Russia. The country joined the Moving Circus in 2014. That year was an action-packed time for Sochi as it also hosted the Winter Olympics next to the inaugural F1 race. The history of the Russian Grand Prix dates back to 2010 when the former F1 supremo Bernie Ecclestone reached an agreement with the Russian government over the future race. The construction work began right afterwards under the design supervision of the German architect Hermann Tilke. The track is integrated into the Olympic Park infrastructure, with facilities located in close vicinity to the Olympic Park railway station and to the roads which connect the Olympic venues with Sochi International Airport. 1. Sunday’s race will be the fifth edition of the Russian Grand Prix. Since its inception in 2014, the race never missed the F1 calendar. 2. The track is among the longest circuits with its length of 5.848km. The lap record is 1:36.844 which was recorded by Ferrari’s Kimi Räikkönen in last year’s race. The start and finish line are not identical, the offset between the two is 0.199km. The total race distance is 309.745km. 3. The track width is 13 meters at its narrowest point and 15 meters at the start-finish line. It has 12 right and six left turns and combines both high-speed and technical sections. 4. The track has been resurfaced on the approach to Turns 1 and 8. A section of the pit entry has also been resurfaced. 5. There are two DRS zones on the Sochi Autodrom. The one has its detection point 72m after Turn 18. Activation is 95m before Turn 1. Zone Two’s detection is 72m before T10, with activation 203m after the corner. 6. Because of the tightness of the pit lane, the speed limit is only 60kph during the practice sessions, qualifying and the race, as well. 7. Mercedes has been the dominant force since the race appeared on the race calendar. Of four races, the German-Anglo team scored four victories. In 2014 and 2015, Lewis Hamilton won for the team while it was Nico Roserbeg who claimed the victory in 2016. Valtteri Bottas who will start today’s race from the first position claimed his first career victory in 2017. 8. Nine of the current field have contested every Russian Grand Prix: Valtteri Bottas, Sergio Perez, Sebastian Vettel, Kimi Räikkönen, Lewis Hamilton, Romain Grosjean, Daniel Ricciardo, Nico Hülkenberg and Marcus Ericsson. Interstingly, Fernando Alonso is missing from the list as the Spaniard was unable to start last year’s race after he was forced to retire on the formation lap with an ERS gremlin. 9. Sochi Autodrom is one of the few Formula 1 circuits to have permanent team buildings located opposite team garages. This allows teams to operate without their motorhomes, thereby simplifying logistics considerably. 10. Sochi is Russia’s largest and most popular resort and one of the country’s sporting centres. It has held 22 Olympic Winter Games and 11 Paralympic Winter Games. It was also a host city for the 2018 FIFA World Cup. The city is nicknamed the summer capital of Russia because it usually enjoys 200 days of sunshine over the year. Sochi has a population of 450000 habitants.